Baby Musical Riding Toy great gift basket to send a new born baby, baby blanket and stuffed animal riding toy for future use or for an older sibling. Free Toronto hand delivery. This gift is great for baby boy or baby girl gift basket also for baby shower gift basket. 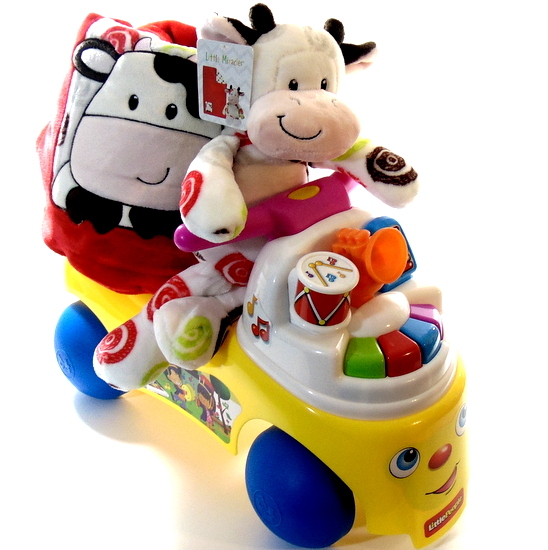 Baby toy gift basket musical riding toy. 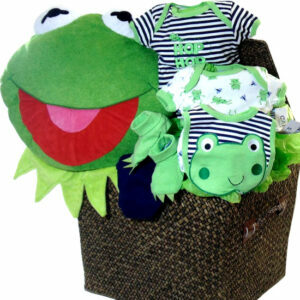 Great gift basket to send a new born boy and girl. Blanket and stuffed animal riding toy for future use or for older sibling and shower gift basket. Baby toy gift basket Cow Little Miracle 30 x 45 Silky soft reversible blanket. Cow Little Miracle baby soft stuffed animal. Baby Musical Riding Toy. Delivered to the door steps of the parents of the new baby boy and baby girl. FREE local Toronto hand delivery 7 days a week . All our Baby. Spa and Gourmet gift baskets. GTA, Toronto. Etobicoke. Concord. Scarborough. North York. Pickering. Ajax. Milton. Stouffville. Maple. Brampton. Mississauga. Richmond Hill. Thornhill. Markham. King City. Newmarket.